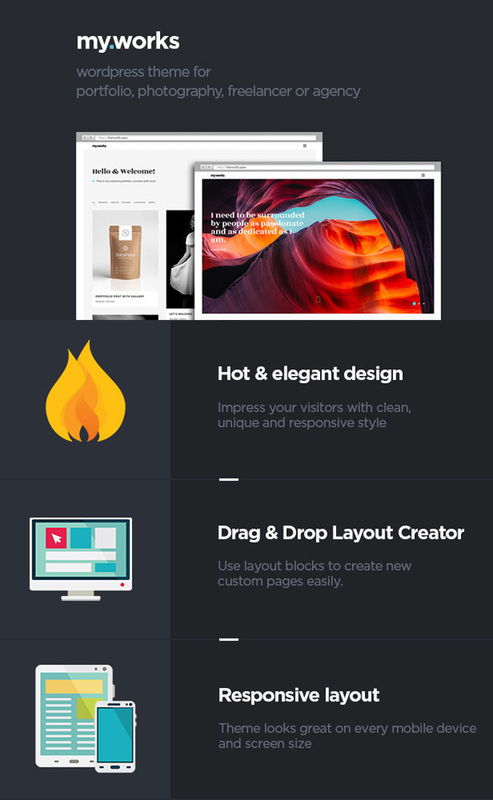 This is an impressive WordPress theme developed (with care) for creatives, for every portfolio, photography, freelancer or agency website. Theme brings fresh, modern yet elegant design, easy-to-use back-end and comes with fully responsive layout. You will receive a detailed documentation along with additional features like unique Layout Creator, main slider and carousel features, unlimited color schemes, countless Google webfonts, custom widgets etc. Functions are based on rock-solid Master Magazine and Redux frameworks. The theme comes with 5 Posts formats: standard, video, audio, gallery, link.